It all started with me helping my mother in kitchen, where I was fascinated by the amazing world of spices and vegetables, sweets and savouries, all combined to churn out simple but delicious and memorable meals. It was this simplicity of traditional Sindhi food that prompted me to come up with a collection of such delicious recipes,before they completely lose their importance in modern kitchens. I am Alka, born and brought up in a small town in Mumbai-India. After getting my bachelors degree in Microbiology, I got married to the most wonderful guy and was soon blessed with a sweet kid.Life was moving at its own pace when one fine day my husband came up with an idea to share the traditional Sindhi recipes with virtual world. Being technically challenged I was apprehensive about blogging, but here I am, with lots of efforts of my hubby dear and encouraging words from my families ( my parents and parents-in-law), to share the home style cooking and recipes from a Sindhi Kitchen. Lots of hardwork needs to be put in,for every single post that is published here.So I will be obliged if every visitor on this site,will leave a comment or remark.It does encourage me to put in more efforts and suggestions are always welcomed to make this site more appealing, endearing ,informative and useful. I would also like to appeal to the visitors,that since all the information on this site is copy righted, so kindly refrain from plagiarism,to avoid any legal procedures. So welcome to my world of simple but delicious sindhi food.Take a tour , search for recipes of your favorite food, walk down the memory lanes with the nostalgia of your childhood favorites and if the cravings get strong, do try the recipes shared here, to relive those magical moments when you were blessed to savour the humble meals cooked by your mother, father, aunts , neighbours, loved ones or even your friends! Glad to have stumbled upon your website. Was looking up for a picture to explain a colleague what koki is! I am looking drastically for DOLI KI ROTI recipe. Please give me the recipe. Your website is very interesting. Hi Alka !! I just got connected to your site . Actually I was surfing when suddenly I came across your site.I want to have a recipe of” SINDHI PAPPAD’ which I had relished at one of my friend’s house. 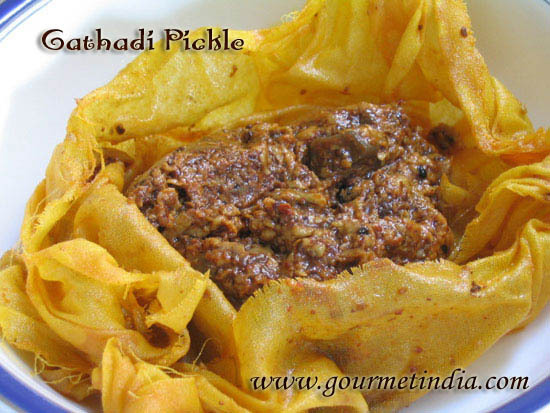 Hope to have this recipe as early as possible.Also let me know as to how you make the flour of it (cleaning ,washing, drying and grinding of the dal ) and bow to store it if prepared in large amount. Thanks. First of all I want to thank you for uploading such a awesome collection of Sindhi recipes. For non-sindhi person like me, it is an extremely knowledgable and exciting..
We are maharashtrian brahmin family..born and brought up in mumbai and now reside in the US. I love to try new recipes and different cuisines. I have made couple of sindhi recipes as my MIL has a very good sindhi friend who taught the recipes. Me and my hubby are fan of those recipes , so was looking for some more sindhi recipes when I stumbled on your blog. All your efforts to make this website are commendable. I love the website as it is very organized, has gr8 photos and simple to follow recipes. I found lots of recipes very unique and am definitely going to try them. Please do continue to post and update your site with new recipes! Thanks again for such a wonderful website and recipes! Can you let me know as how phooloan ki sabji prepared. I am a sindhi guy and it is called gullan ji bhaji. you are doing a very good thing in pramoting our sindhi dishes ..do you have any non veg receipes. Thank you for sharing these wonderful recipes and for the clear directions. Hi pls send me your contact details,In the process of planning an event early this year to promote sindhi culture and cuisine. Loved your collection of recipes. Was just searching for an authentic sindhi kadhi recipe and came accoss ur version……. I have so many sindhi frens and jus love the sindhi food. Thanks for these recipes… reminds me of my school days when we used to share food…. My father is Sindhi but I never really loved the food until I grew up and married a Sindhi. I tried to learn from my MIL but her instructions were too vague (a little of this/a little of that – how much is a “little”! LOL!) for a person who had never cooked any Indian cuisine. I’m so happy to have found your site with it’s detailed ingredients/instructions. Thank you so much for this! The site is awesome and really helpful to stay in touch with our culture. How lovely your blog is – i grew up in Sindh, Pakistan and it’s amazing how different your recipes are! wonderful pics too! Amaging recipee site…….i have found this site from swiftthemes. I grew up with several Sindhi neighbors. Acutally, my house was next to the famouse Sindhi school in Bangalore :-). Saibhaji, Koki, Brown rice were my favorite dishes so much so that my friends moms’ would always send some home for me. I was so excited when I chanced upon your blog. I am vegetarian so this site really works for me. I used to really like the Biryani that was served in many of their family functions. It would be great if you could post the recipe. You have got a very delicious blog cooking here. I’m very inspired with your cooking and just cant wait to go home and get some cooking done. All the recipes are mouth watering. Thank you Pavani for your kind words ! I have been reading ( and cooking)with interest several Sindhi Recipes. The recipes are written wonderfuly well step by step and I cannot thank the author enough. All these recipes are vegeterian though….Can someone write recipe for Sindhi style Teewan/Tarkari (meat) or Machhi/Palo or Keemo or Jhinga etc………Pleeease!!!! I would like to know the recipe of “Khorakh” A sweet dish made out of aata. Blog is worth visitng.I clear all my doubts over any sindhi dish i have.Thanks a million for sharing this. Stumbled upon a great site. Wonderful stuff! Thanks. I really love to hear that there is a specially blog created by you for sindhi food . I appreciate your efforts and waiting for your recepies. Recently introduced to your site & liked recipes. I will try few in coming week. I discovered your site today thru your comment on another foodie blog. You have a great blog and I can see you have put in a lot of hard work into it. The blog has a really neat, polished look. Would you believe it, I am a Microbiology graduate from Mumbai too! Maybe we were in the same college? I grew up in a Sindhi colony and my best friend Bella is a Sindhi, so Sindhi food brings back childhood memories. So off I go into your blog world to look for kokis, lolos and chana Dabhroti. hope everything is well now. I grew up in sindhi camp and have many memories of good sindhi neighbours and food. I am following your site from 2009. Please give us an update about you. Hi Alka, I must say your website is truly marvelous and the receipes are just too good. Brought back alot of childhood memories I would appreciate if you could provide the receipe for gheehars. Since Holi is just around the corner and here in Singapore we dont get gheehars. Would appreciate it very much. God bless. Visited few of your sindhi recipes and loved ithem, really nice collection of recipes and definately a lot of effort. Shall follow you to learn the wonderful sindhi cusine. 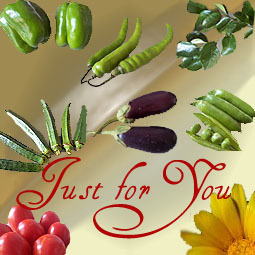 I like Your website Very much and I love to cook varities of Recipes. I request you to put Your recipes on Video or on You Tube. This will become very easy to fallow Your method of presentation. Found u on twitter….I am new to Sindhi food….thanks to u I can now get a few Sindhi taste in my kitchen….following u on twitter. I am a Sindhi and I love Sindhi food. But havent been cooking a lot of Sindhi food lately. U have inspired me to make some of my favourites again. Also would you know any sindhi caterer or cook who makes authentic sindhi food. Beautiful website and wonderful recipes. Grew up in a half-sindhi household and used to love eating my grandmother’s food (Dad’s side was the sindhi half). After moving to the US, missed all that food. I recently came across your website and started trying some of the recipes. All of them have turned out beautifully, just like I remember from back home. Today is going to be the day for Saayi Dal, mmm!! THANK YOU for all your hard work in putting this website and sharing your knowledge and recipes. Love ur site! Simple recipes, look so delicious! My curiousity to try Sindhi food led me to your blog on FB. And the best part is, all ur recipes are Veg! Keep the great work going! Happy Cooking. First time here…U have a Wonderful Collection of Sindhi Recipes with lovely n Tempting Clicks…Keep Going.. Thank you for your recipes. I am married to a Malayali but I miss the sindhi food that I used to get at home.. Thankfully, I can cook them by going through your blog.. Fortunately, my husband is very encouraging and adventurous, trying out all cuisines. Hi!! I am a sindhi, and my mom is a superb cook. All the recipes are genuine and authentic, just the way my mom has taught me to make them. But, it is wonderful to have them described so systematically, and with precise ingredients (and not from ‘andazo’)!!. Rina, the dish you are describing is called ‘chanaa chanwar’, and if you are still looking for the recipe, i’ll be happy to share it with you. You have done a great effort by sharing the wonderful sindhi recipes. I am still learning sindhi recipes and will always be thankful for giving us this wonderful wonderful sindhi recipe website. Thank you so much for putting such a wonderful website. Every time I want to cook something good, I know where to get the PERFECT recipe from. It is very different from other websites, they way you write and explain your recipes is remarkable and leads to confusion free cooking. I am a Sindhi too and love cooking. There is no subsitute for “home cooked sindhi food”. 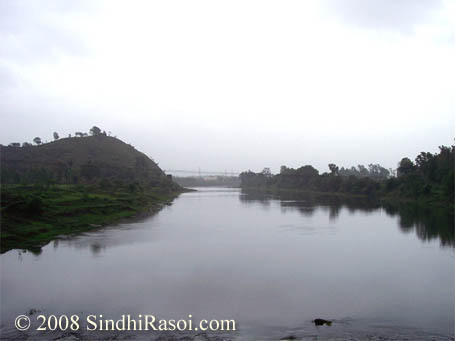 I grew up a small town of Maharashtra with a huge group of Sindhi friends. I loved their food so much that we would often share our lunch boxes at school. I tried to make the recipes thousands of times but never could get that taste. So today while searching for some good sindhi recipes I came across your site and was a little dissapointed as I did not find the recipe I was looking for. I loved this curry my friends mom would make, it had white kabuli chana and potatoes and I think the gravy had tamarind flavor to it. They would also make this curry made out of the seeds of Okra or Bhindi, God knows how, and I forgot to ask. Their Arbi curry was out of this world. also the drumsticks with rice roti I think. Their koki was delicious too, but I dont think they had onions in it. I loved their aloo paratha and also the moong daal paratha. I didn;t see any of these recipes so I was a little suprised. Can you please post these recipes. BTW even though I didn;t find my favorite recipes, your site is wonderful. I can see the hard work and I appreciate that. All recipes are mouth watering. Hi Alkaji Some days back I did find your website and tried your recipes.Weloved them.Wish you all the best for comming new year.keep writing Thanks again. Digging deep for clues on higher ground !